The Laboratory of Analysis and Architecture of Systems (LAAS) is a CNRS research unit linked with the Institute for Engineering and Systems Sciences (INSIS) and the Institute of Information Sciences and their interactions (INS2I). To anticipate the major interdisciplinary challenges related to our fast-changing society, the LAAS-CNRS identified strategic focuses based on the four major disciplinary fields that are the trade mark of the laboratory since its inception: automation, robotics, information technology and micro and nanotechnologies. Within these disciplines, eight scientific departments define the future guidelines and coordinate the activities of the 26 research teams. Founded in 1984, Heidelberg Instruments is today a global leader in design, development and manufacturing of complex laser based maskless lithography systems. These systems are critical to fabrication of advanced photomasks and direct write solutions. Sensirion is a leading sensor manufacturer, providing relative humidity sensors and flow sensor solutions with unique performance. Together with our capacitive humidity sensor, the product range includes liquid flow sensors, mass flow meters, mass flow controllers and differential pressure sensors. Using our microsensor solutions, OEM customers benefit from the proven CMOSens® Technology and excellent technical support. Best-in-class products, unmatched experience and excellent application support make Sensirion the no.1 Partner. Among a large variety of applications, the flow and humidity sensors are successfully used in the automotive and medical industry. The concept of research “orientated” towards companies and society is at the base of the creation of the M.I.N.E.S Carnot Institute. Composed of Armines and 8 engineering schools, it is built on a multi-disciplinary academic foundation enhanced by a 50-year heritage of providing solutions to meet the needs of the socio-economic players. Truly inspirational for companies seeking innovation, the M.I.N.E.S Carnot Institutedraws its strength from its motivation to break down scientific barriers. Apart from its wide range of skills, the community of 1,700 research staff also has experience in technology transfer. Critical role of communication in the development of uses. We are focused on the technical, economic and social consequences of these revolutions, especially regarding IoT, networks & media of the future, uses and services, autonomy and health, environment sustainability and global security. The LabEx NanoSaclay is an interdisciplinary cluster of excellence for nanosciences and nanotechnology integrated to the Paris-Saclay University and funded for 8,5 years. It has been selected in 2011 under the French program “Investments for the Future”. It is supported by local renowned research and training institutions (CNRS, Universities of Paris-Sud and Versailles-Saint-Quentin, CEA, Ecole Polytechnique, Institute of Optical Graduate School, Supelec, Ecole Centrale Paris, ENS Cachan, Onera, Synchrotron Soleil and Thales). NanoXitronics (AXION) : to provide large scale growth technique facilities within Paris-Saclay for electronic oxide nanostructures allowing their transfer towards applications. Novel concepts, nanostructured materials, devices and architectures for nanophotonics (CONDOR). On Chip Quantum Optic and Quantum Simulation (ICQOQS): to use existing technologies to create innovative devices and propose new paradigms for linear optical quantum computing and quantum simulation. Squalenoyl siRNA or adenosine nanoparticles: new therapeutic approaches for Charcot-Marie-Tooth 1A and brachial plexus lesions (Nanoprotection). Furthermore, the LabEx NanoSaclay supports emerging and innovation projects that guarantee its dynamism and attractivity. It also intends to support training of the students of the Paris-Saclay University within the nanosciences issues. Total is a major energy company committed to supplying affordable energy to a growing population, addressing climate change and meeting new customer expectations. With operations in more than 130 countries, we are the world’s fourth-ranked international oil and gas company and a global leader in solar energy through our affiliate SunPower. We discover, produce, transform, market and distribute energy in a variety of forms, to serve the end customer. Committed to better energy, our 98,000 employees help supply our customers worldwide with safer, cleaner, more efficient and more innovative products and services that are accessible to as many people as possible. Our ambition is to become the responsible energy major. Close to $5.3 billion allocated to R&D over the period 2017-2022. Around 200 patents filed every year. Close to 5,000 people working in R&D. 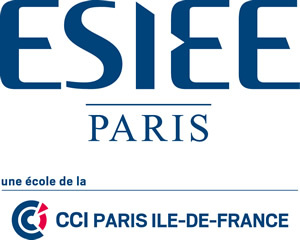 ESIEE Paris is a French engineer school of higher education and research in computer science, electronics, telecommunications and embedded systems. Research topics are: (i) computer science, image, signal, (ii) sensors for health, energy and environment, (iii) electronics and communications, (iv) embedded systems, networks and manufacturing, and (v) innovation management. There are developed in new cleanrooms on 650 m², and virtual reality room, and two other technological platforms for digital, RF, microwave and optical communications and embedded systems. Cleanrooms also host industrial R&D and provide prototypes and small and medium-sized batches for various application fields such as biomedical, aviation, environment, etc. Most recently, “ESIEE Connect” project, funded by the 2nd Future Investments Program, focus on Internet of Things and the related education need, including initial and ongoing training and a technological acceleration program.